Jonathan Woodgate Newcastle Utd & England signed 6x4 inch photo. Jonathan Woodgate, Newcastle Utd & England, signed 6x4 inch photo. 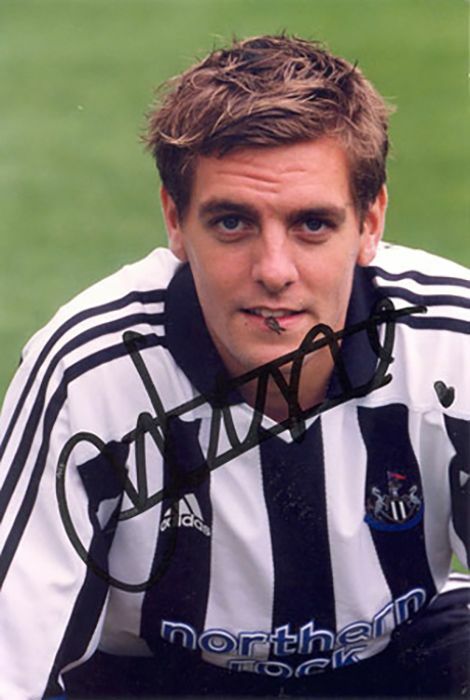 6x4 inch colour photo personally hand-signed in black sharpie pen by former Newcastle United defender, Jonathan Woodgate. Woodgate left Newcastle Utd to join Spanish giants Real Madrid in August 2004 for a transfer fee of £13.4 million. He was capped 8 times for England.